I actually enjoyed Shattered Mirror. 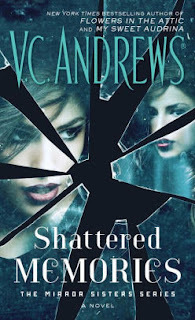 Here is my review on The Mirror Sisters, the first book in the and Broken Glass the second in the series. This was a great wrap up. It took me 3 days to read it and I enjoyed every moment. I loved that Kaylee was finally home and healing. I was so happy she got to go to another school and start fresh where no one would know anything about her. She definitely has grown over the past two books and is stronger and sure of herself. I found it interesting that she often wondered how her sister would have handled a situation and cheered for her new life. I did find myself wondering how Haylee would screw up her life again and prayed it wouldn't happen. If you are looking for a saga and enjoy spreading a story over three books, this is a great read.